Helsinki, Finland/London, UK. 12 September 2013 – Jongla, the fast, fun and free instant messaging app popular in the youth market, today announced the release of their flagship app on Windows Phone. After successful launches on iOS and Android, and allowing users across the world to enjoy fun and interactive messaging with friends and family, Windows Phone users will now be able to enjoy all that Jongla has to offer. Available to download on Windows, iOS, Android, and also compatible with HTML5, Jongla offers users the opportunity to connect with contacts in a fun and interactive way. Targeted firmly at 15-24 year olds, Jongla is all about fast, fun and free messaging with friends and family. To add personality to each nmessage, users have a choice of sending animated ‘Stickers’ that come to life once a contact receives them. Messaging just got a whole lot more interactive. Jongla is available to download for free on WP8 from the Windows Phone Store, on iOS from the App Store and on Android from Google Play. 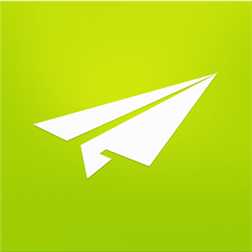 App Info: Enjoy fast, fun & free messaging with Jongla! Written by: Hyde13 on September 12, 2013.